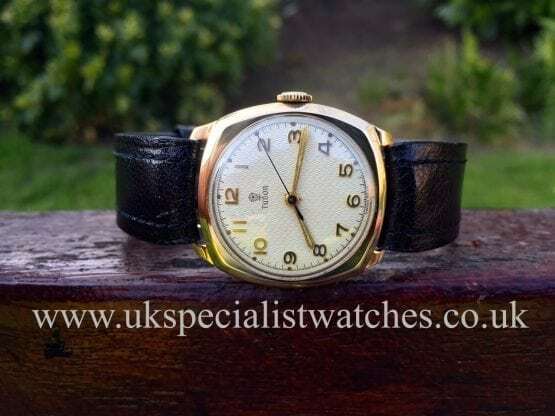 Here we have a rare Tudor Rolex dating from the 1940's Dennison 9kt solid gold case. It is believed this particular model was only produced for the British market. The rather unusual cushion shaped case measures 31mm but appears to be much larger due to the squarish cushion shape. The original white linen patterned dial with raised gold Arabic numerals and sword shaped hands. Manual wind 15 jewel movement, still keeping excellent time. Tudor Oyster Prince. Ref: 7965 Sunburst silver dial "small rose" with applied polished dart arrow markers and lance hands. brushed and polished 34.5 mm stainless steel case with screw down crown and case back. Genuine Rolex Croc strap and Rolex buckle. 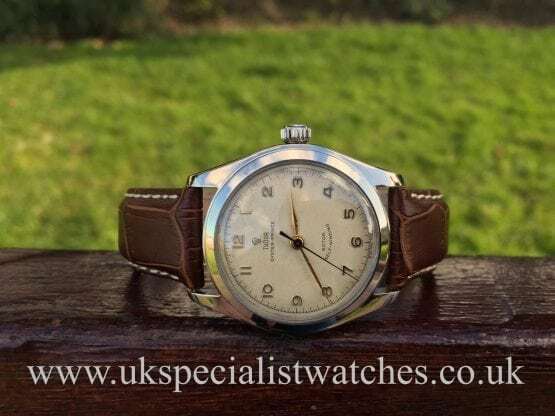 This vintage Tudor houses the full-rotor caliber 2483 automatic movement also used in the Tudor Submariners from the late 1960s. 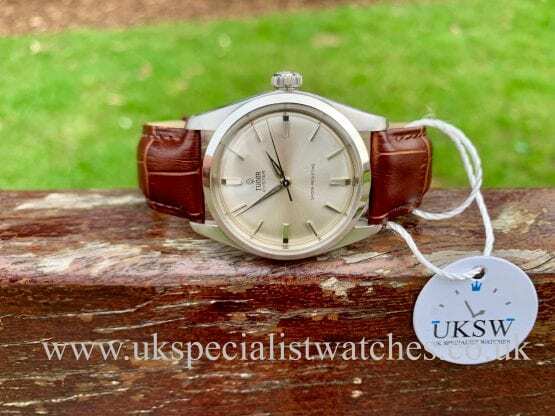 Both the model number and serial numbers are very sharp and legible case back interior stamped 1/61, the watch in absolutely excellent condition ! 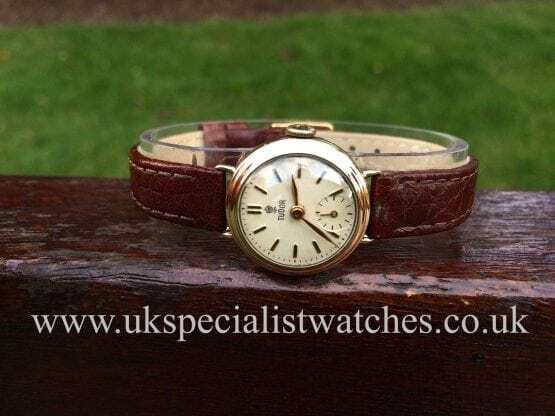 A Vintage Watch over 54 years old just imagine the wonderful stories they could tell ?? with still so much life in them the stories go on ! 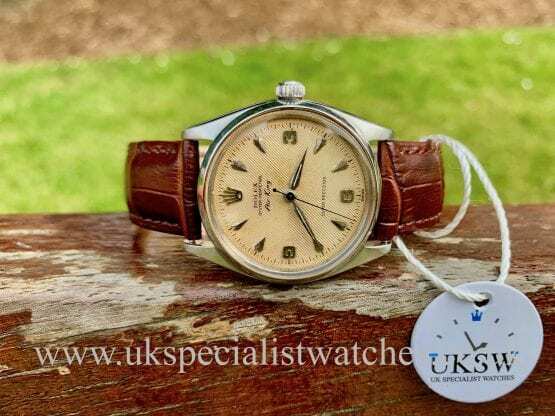 This Rolex Tudor Submariner 7021 is a very rare piece. As they were only manufactured for a maximum of 2 years. These date version Tudor "Snowflakes" were introduced at the same time as Rolex's red submariner 1680 . 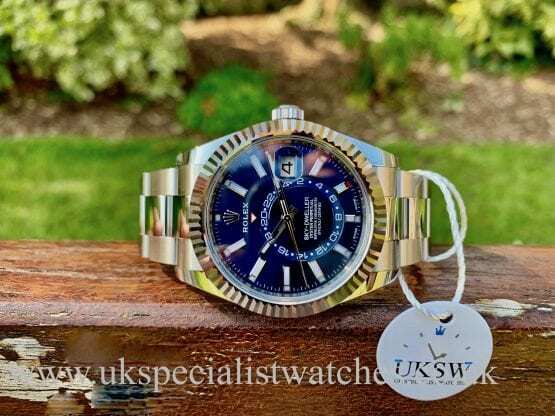 Our watch has a 40 mm case and is one of the earlier examples dated IV 1968 with this wonderful matt blue dial, unmarked with stunning creamy hour markers and matching snowflake hands, another unique feature on this model was the ‘roulette’ date wheel that alternates red & black. This is an absolute stunning example and a very rare find indeed !! and to find a mint example like this is virtually impossible! 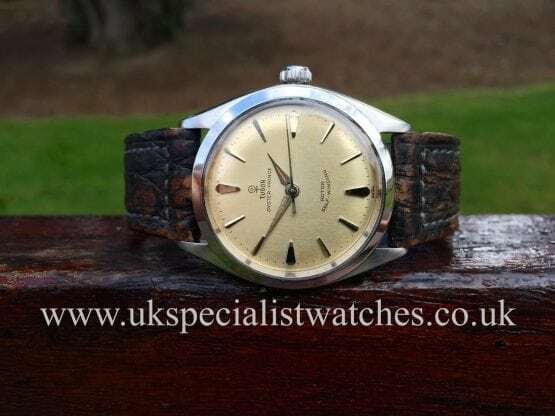 A dream watch for vintage collectors out there. The watch is RESERVED !!! 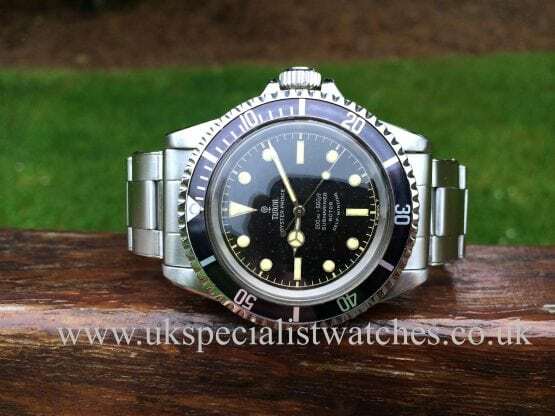 Here we have a rare and very collectable 1965 Rolex tudor Submariner looking almost identical to Rolex's 5513 Sub. With the Domed plexi glass and the creamy lume on the Patina dial it just oozes that Vintage look that collectors love. 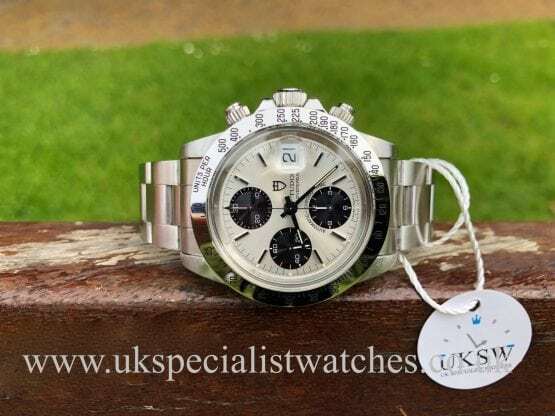 This piece is in outstanding condition having had the same owner from new, all original !! with the oyster riveted bracelet. and keeps excellent time. Just imagine what stories these vintage watches can tell after almost 50 years!! Patina that shows a mystery of stories and with still so much life in them,the stories go on. 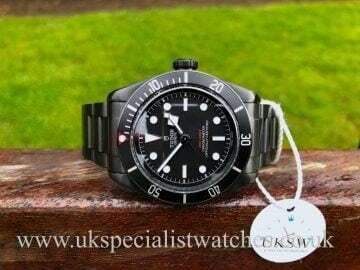 Tudor Watches UK – UK Specialist Watches is one of the leading luxury tudor watch dealers in the United Kingdom and have a wide-range of tudor watches available to browse and purchase. We are always here to provide expert advice and guidance. 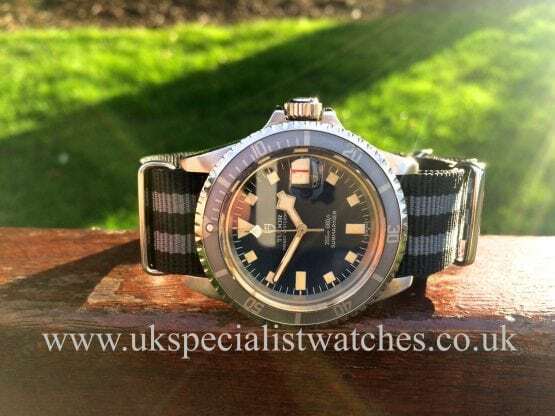 If you would like to sell your tudor watch - we’d be happy to hear from you. Please do not hesitate to contact us should you have any questions.